Honor has launched a new smartphone in the Indian market today, namely, the Honor 9 Lite. The smartphone comes in two variants- one with 3GB of RAM and 32GB of internal storage and the other one with 4GB of RAM and 64GB of internal storage. Honor is offering Rs 1,000 discount on the base 3GB RAM model which brings down the device’s price to Rs 10,999. 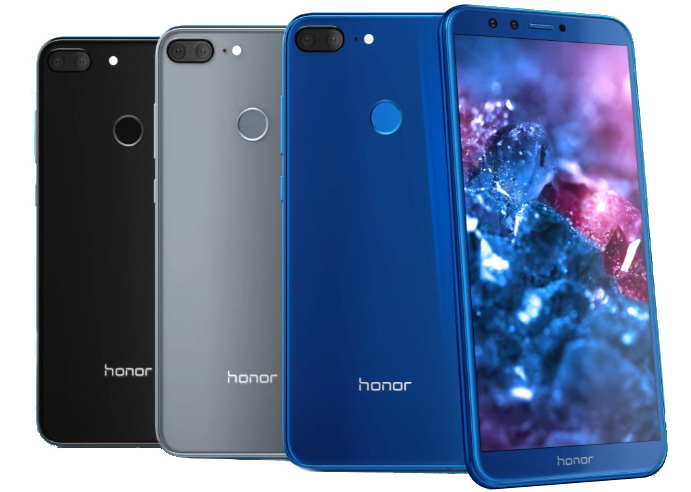 Honor did not announce until when it’s going to sell the phone at the introductory price. Also, the phone will be available exclusively on e-commerce portal Flipkart and Honor will sell it on its e-commerce website too. The first sale of the phone is scheduled for January 21. The Honor 9 Lite is the Chinese company’ second quad camera smartphone to launch in the Indian market. It offers a primary 13MP and secondary 2MP sensor on both front and back of the device. Honor has bundled a bokeh mode for both the cameras. The phone flaunts a 5.65-inch Full View display with a resolution of 1080×2160 pixels. It’s an IPS display and not an AMOLED display. The phone measures 149grams and has 7.6mm thickness. Internally, the phone is powered by the HiSilicion Kirin 659 chipset, which is the same processor used to power both the Honor 7X and Honor 9i smartphones in the past. As stated, the phone comes in two storage and RAM configurations. The storage can be expanded with a microSD card slot. It accepts two SIM card, and boots the latest Android 8.0 Oreo-based EMUI 8.0 on top. Honor said it would be adding more features such as the ability to detect male or female and an exclusive bike mode as well with the future OTA updates. Connectivity options include 4G LTE, VoLTE, Wi-Fi 802.11 b/g/n, Bluetooth, GPS, and a micro USB port. And yes, the phone still has a micro USB port and not a USB Type-C port, which is underwhelming. This entire package is backed by a 3000mAh battery which is rated to offer up to 24 hours of standby time. I will be hugely disappointed if it happens!!!! !